Let the Book Apothecary pick out your next read! Further Afield features are from our greater Penguin Random House family. We pick interesting articles to keep you updated on genre-specific news, interviews, and more. Feeling anxious? Discouraged? Lovesick? 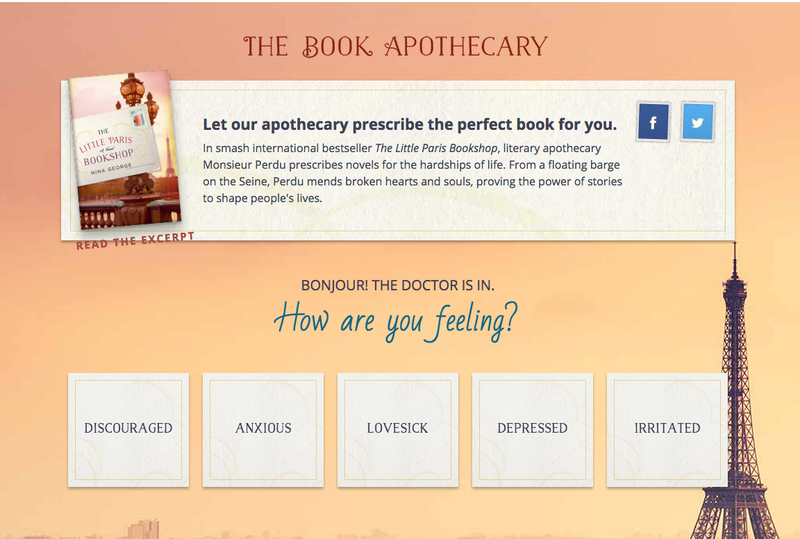 Let The Book Apothecary prescribe the perfect book for you. Inspired by Monsieur Perdu in the best selling The Little Paris Bookshop, the apothecary will recommend books good for what ails you. 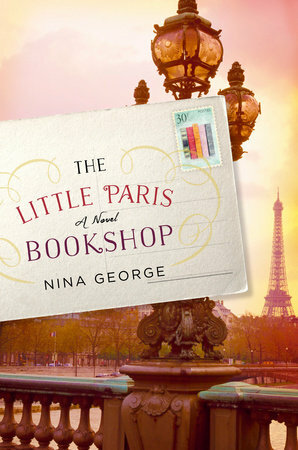 “The Little Paris Bookshop is an enchantment. Set in a floating barge along the Seine, this love letter to books – and to the complicated, sometimes broken people who are healed by them – is the next best thing to booking a trip to France.”—Sarah Pekkanen, author of Catching Air Get your recommendations here!